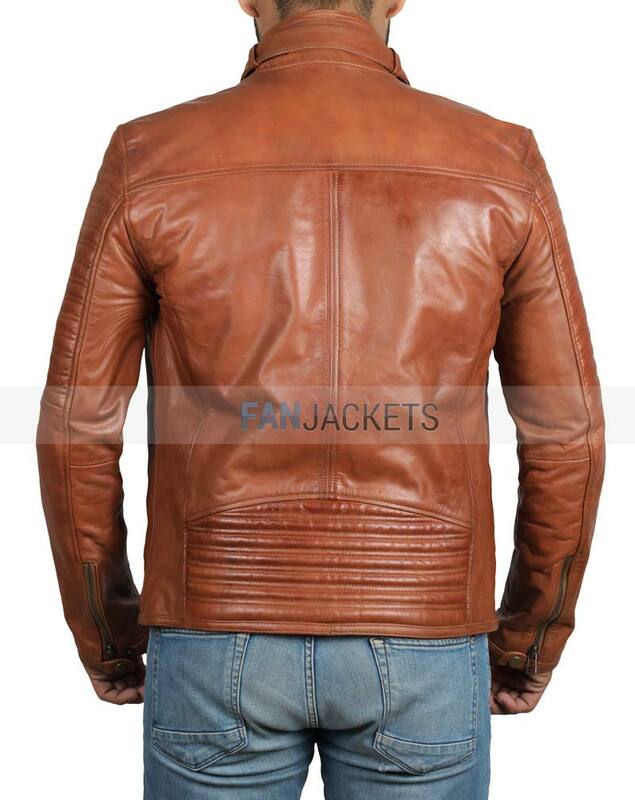 Mens has one of the most significant influences in Leather Racing Jackets. And this is one of them. 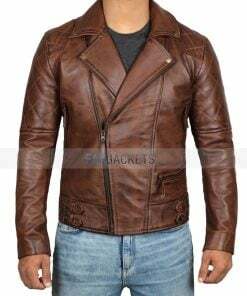 The Cognac Leather Jacket Mens crafted from lamb leather, and a durable zipper is deemed to provide enough protection to the wearer. 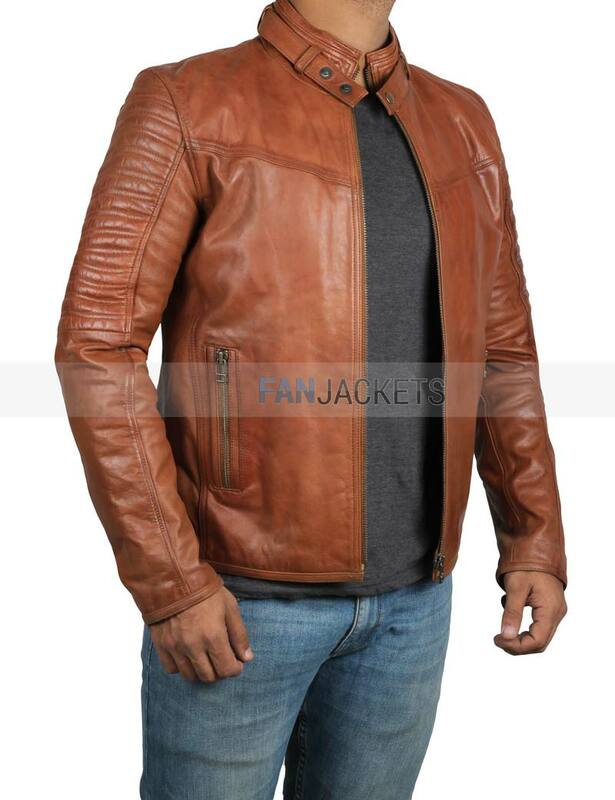 A nice Brown Biker Jacket for all the riders out there. 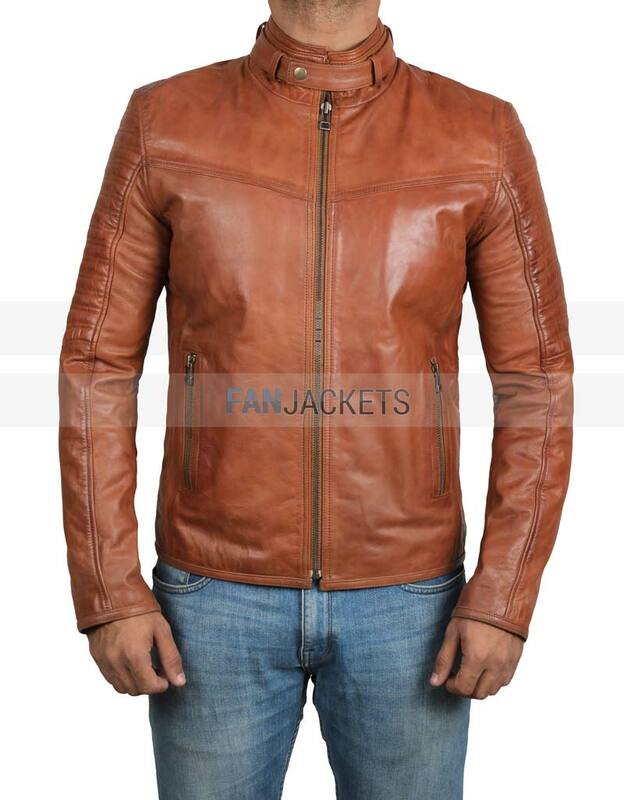 This Edmund jacket is very comfortable and stylish. I really like the buttoned collar because it allows no breeze to creep in. 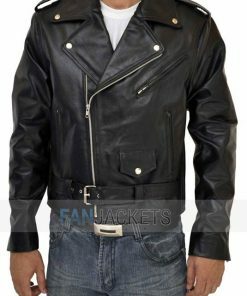 The zippered cuffs and all the features are amazing. I got compliments on this jacket too. I ordered the XL for my brother who is 6’2 and it fits him great, it does look good on him. Also, the seller was really friendly and cooperative and easy to work with when I accidentally ordered two jackets. They were so quick to respond and very flexible.